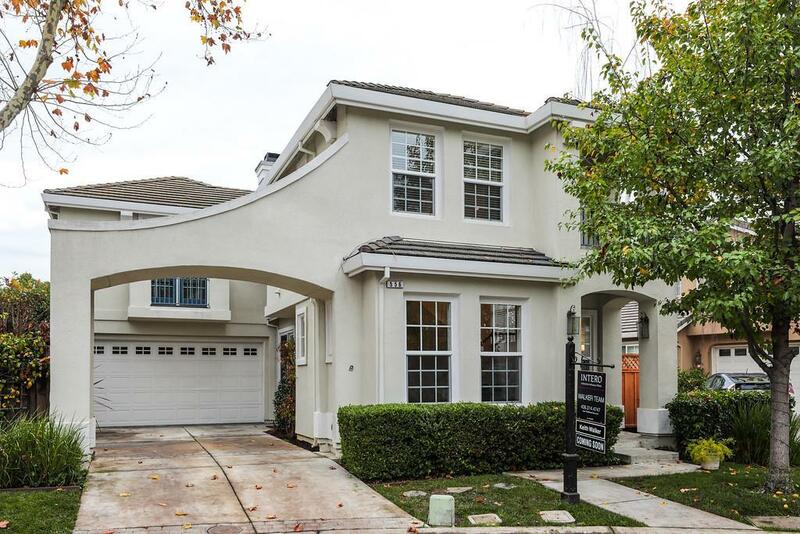 Stunning Campbell home in an intimate community established around its own private park. The two-story home has an open floor plan, high ceilings, natural light, wood floors and over 2,000 square feet of living space. First floor features living/dining room combo opening onto a separate family room. The open kitchen has ample cabinet space, granite counters, gas range, stainless steel appliances and large center island. The second floor offers four bedrooms, including a loft area with built-in desk and private balcony. Master suite has private balcony, walk-in closet and brand new bath with soaking tub, double sinks, quartz counter tops and white shaker vanity. Backyard oasis with hot tub, landscaping, flagstone patio, arbor and new fence. Large two-car garage, central A/C, double pane windows, recessed lighting, plantation shutters and panel doors. The lovely community park has mature trees, green areas, walking path, benches and a childrens playground.